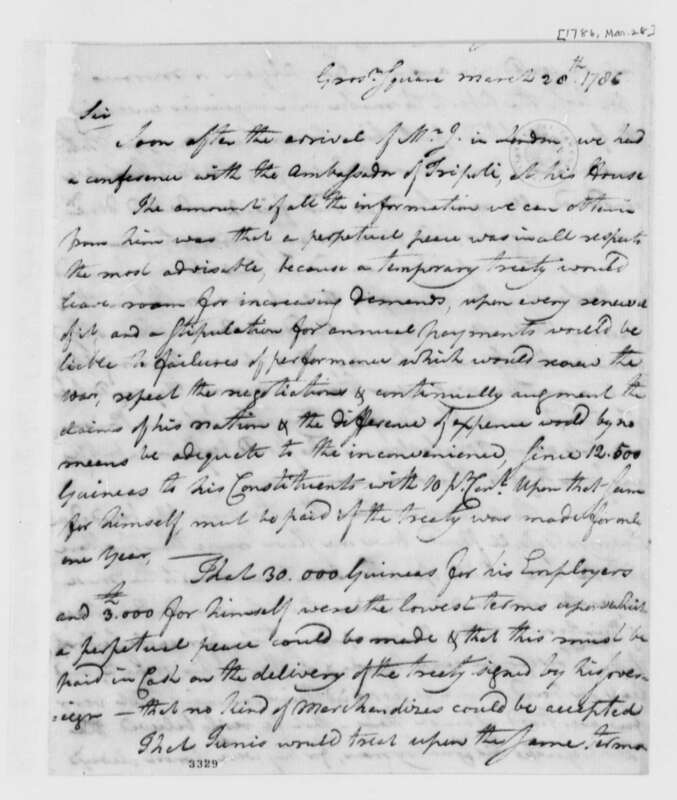 Jefferson reported the conversation to Secretary of Foreign Affairs John Jay, who submitted the ambassador's comments and offer to Congress. 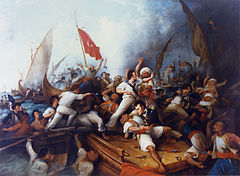 Jefferson argued that paying tribute would encourage more attacks. 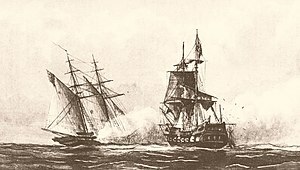 Although John Adams agreed with Jefferson, he believed that circumstances forced the U.S. to pay tribute until an adequate navy could be built. The U.S. had just fought an exhausting war, which put the nation deep in debt. Federalist and Anti-Federalist forces argued over the needs of the country and the burden of taxation. Jefferson's own Democratic-Republicans and anti-navalists believed that the future of the country lay in westward expansion, with Atlantic trade threatening to siphon money and energy away from the new nation, to be spent on wars in the Old World. 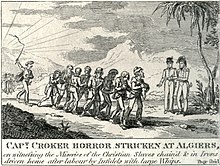 The U.S. paid Algiers the ransom, and continued to pay up to $1 million per year over the next 15 years for the safe passage of American ships and the return of American hostages. 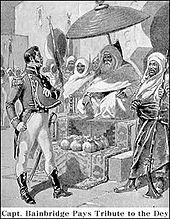 A $1 million payment in ransom and tribute to the privateering states amounted to approximately 10% of the U.S. government's annual revenues in 1800, as agreed with the Peace treaty between the USA and the Dey of Algiers [fr].